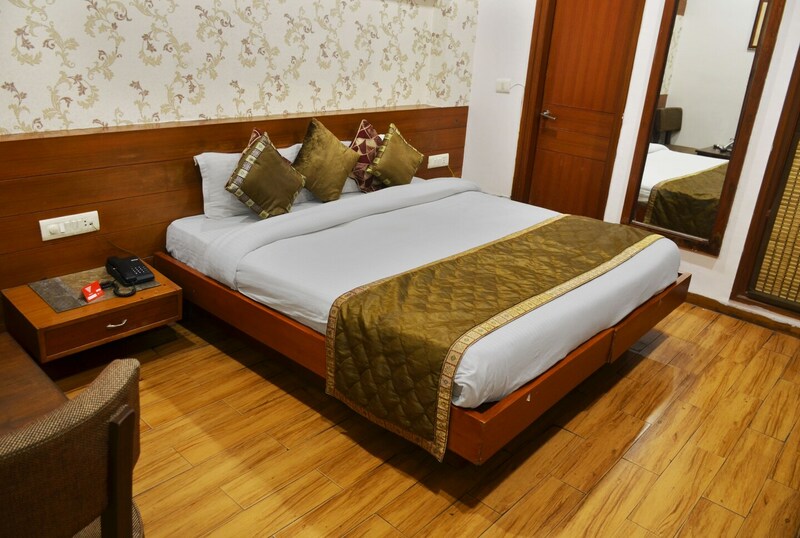 With premium service and warm hospitality, Mohali is a fine choice for guests. The rooms are spacious and well-decorated with modern wooden furniture for the relaxing and pleasant stay of the guests. The walls are decorated with wooden finishing and wallpapers adding glow to the overall decor of the room. Conference room can be used by guests for events and meetings. The in-house restaurant offers delicious delicacies to the guests. Free Wi-Fi service can be used by guests to stay connected with social media. Parking facility, elevator and laundry service is also offered here or the convenience of the guests.